Step out in a bold red leather sandal featuring a comfortable, contoured footbed. When it comes to celebrating Valentine’s Day, Birkenstockwants you to focus on your shoes. The iconic sandal brand released a limited edition capsule line called the ‘Sweetheart Collection’. The two styles come in a red and white combination for a bold, color-blocking effect. Made of leather, the ‘Arizona’ and ‘Vaduz’ sandals get a playful update. 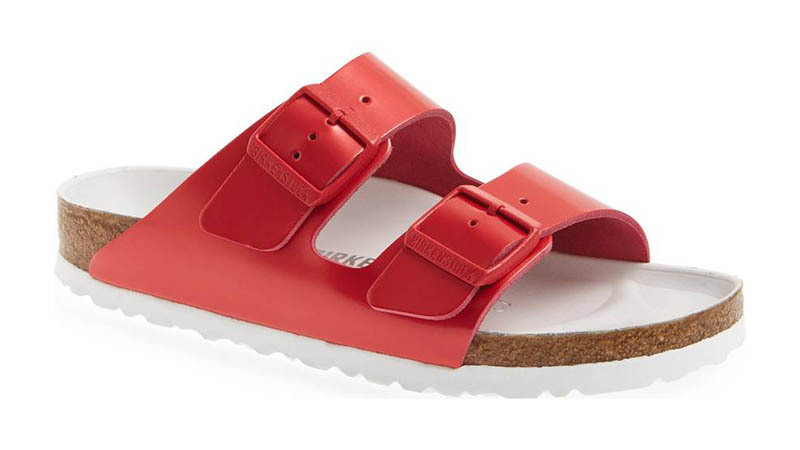 Discover more Valentine’s Day styles from Birkenstock below, and shop more at Nordstrom.com. 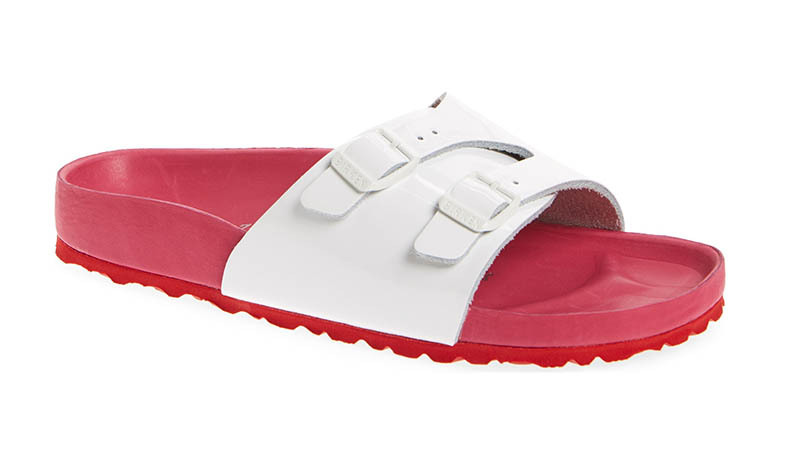 This sandal includes a pop of color with a red footbed and white leather upper. 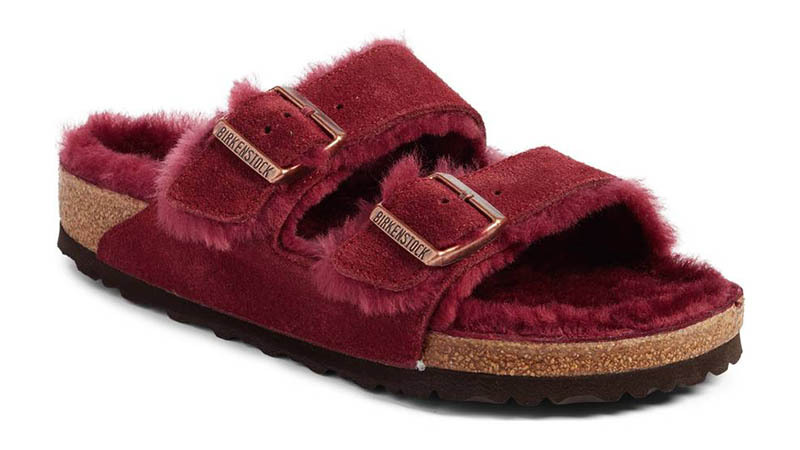 Keep your feet cozy in a bordeaux red shearling sandal with plush cushioning. 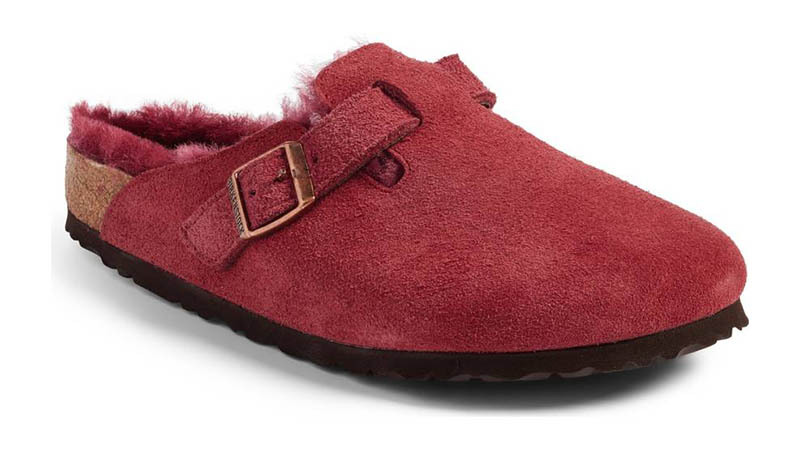 Stay comfortable and stylish wearing a red suede clog made with a plush, shearling lining.